Aidan Cooney has decades of experience in the construction industry, and in particular specialises in the provision and installation of Composite doors and PVC windows. If you are thinking about replacing your doors and windows for energy efficiency or you are building an extension to your home, Aidan Cooney is a good man to chat with. You may have heard many times about composite windows or composite doors, but do you know what these terms mean? But more important, what are their benefits and why it’s necessary for you to understand what they are? 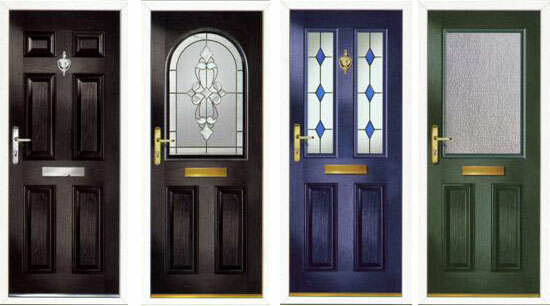 These are the most important reasons you would want to install composite doors or windows. Composite windows and doors are a bit more expensive, but think about this as an investment. You’ll see that in time, your energy bills will make up for it, not to mention how absolutely comfortable your house will feel. 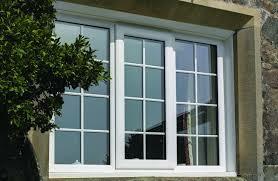 Aidan Cooney provides and installs high quality PVC Windows that will brighten and enhance your home. The stunning moulded slim-line frame of PVC Windows will help improve the appearance of your home. PVC Windows provide your home and family with protection. Increased security is also available with a range of PVC Windows and Doors. Aidan Cooney has years of experience installing high-quality windows and doors in the Meath/Dublin areas and can give you the confidence and reassurance that you’ll have the protection and complete peace of mind in your home. Aidan Cooney provides quality windows and doors; PVC Windows are the most energy efficient windows in the market today. Aidan Cooney supplies windows that have been certified A+ by the BFRC in terms of their energy efficiency rating. Double Glazed PVC Windows have an energy rating of A+6, which is at the highest end of the energy rating available for Double Glazed PVC Windows can also greatly increase the sound installation. PVC Windows are also low maintenance and can be simply wiped clean with a damp cloth. “In 2015 Aidan Cooney supplied and fitted Composite Doors and PVC windows to a traditional Irish Cottage that I had just restored, Aidan and his TEAM were professional at all times, courteous, punctual and delivered all works including finishes to a very high standard”. Vincent, Oldcastle, Meath.